The election of Park Won-soon as the new mayor of Seoul projects significant ramifications for South Korea’s future policy towards the United States and North Korea beyond 2012, as it will impact the two big elections next year that will vote in a new president and a national legislature. Sustaining a strong U.S.-Korea alliance and a stern ``principled North Korea policy” in the face of a rising China would be contingent upon whether there will be a conservative administration that will succeed the policies of President Lee Myung-bak. A former human rights lawyer, civic activist and political novice, Park was supported by all progressive opposition parties, including the Democratic Party (DP), which have different foreign policy ideas. 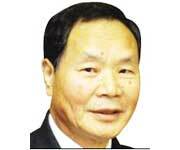 As their unified candidate, he handsomely defeated the governing Grand National Party’s Na Kyung-won on Oct. 26. Park’s victory may have already dampened the chance to ``recreate” another conservative regime in 2012. The most outstanding among several elements that dealt the devastating defeat to GNP was the disappointment of voters ― especially that of younger voters in their 20s to 40s ― with the Lee government and their frustration with the existing political paradigm that often makes loud noises but seldom produces deliverables. The citizens of Seoul voted for change in a referendum against the governing GNP, and they are likely to do so again next year. No president of Korea has won office without carrying Seoul, the country’s largest electoral constituency. People live in a fast moving time. They may reject another five years of rule by the same party with a similar policy. In democracy, people often vote against somebody or something. Despite Lee’s recent state visit to Washington, an unprecedented success in terms of alliance coordination and White House hospitality, including a private dinner with President Barack Obama at a Korean restaurant, a special security briefing at the Pentagon, and the two Presidents’ trip to Detroit, Park’s election is precipitating a lame duck status for the Lee presidency. The election result also emboldens opposition parties to challenge neoliberal capitalism and resist the ratification of the Korea-U.S. free trade agreement (KORUS FTA) at the National Assembly, which has already passed U.S. Congress. Critics view it as more favorable to the United States and unfair to South Korea. It would probably take a fistfight at the National Assembly to ratify the FTA. If this happens, voters would be further turned off from politics. The elections next year will be about the performance of the Lee government in terms of economy, jobs, prices, housing, education and welfare. Foreign policy success seldom wins votes, while foreign policy failure costs them, especially when voters perceive their security is threatened from the outside. Unless North Korea launches more provocations of a magnitude comparable to or more serious than the sinking of South Korea’s frigate Cheonan or the shelling of Yeonpyeong Island, the North Korean issue, the ROK-U.S. alliance, or the ROK’s precarious security relationship with China would not be a major election issue. Whoever becomes the next president of Korea would be pressured to change Seoul’s policy on North Korea and the United States. A president from the progressive opposition camp would be more flexible and cooperative with Pyongyang and less cooperative with Washington than the Lee administration. However, a new progressive government would be more prudent and less generous in giving aid to the North than the governments of Kim Dae-jung and Roh Moo-hyun. Such a government will reassess Korea’s long-term interest for peace and security in its overall relations with its neighbors and the United States. No radical change is expected to the alliance, but some new adjustments would be sought. In any case, U.S.-Korea relations would not be as strained as they were during the Roh administration. Even if a conservative president is elected next year, they would likely to be more flexible on the North and more conscious of self-interest in relations with the United States than the present government. Even after 2012, political divides will continue in Korea ― ideological, economic, regional and generational ― to exercise strong influence over government policies. The United States and North Korea completed their second round of direct high-level talks in Geneva on Oct. 25 without finding a breakthrough to resume six-party talks. Washington and Seoul are on the same page on this issue, sticking to the same position that the North must carry out ``pre-steps” if it wants to come to the multilateral nuclear talks. Kim Jong-il is still calling for an unconditional resumption of the six-party talks. Washington seems to have a limited goal in engaging the North Koreans. That is to prevent provocations, without confidence in achieving a denuclearized North Korea and without a plan to deal with a possible third nuclear test or a perfection of a nuclear delivery system by North Korea. All important things seem to be waiting in 2012. What’s your take? The writer is a visiting research professor at Korea University and a visiting professor at the University of North Korean Studies. He is also an adjunct professor at Johns Hopkins University School of Advanced International Studies and can be reached at tong.kim8@yahoo.com.